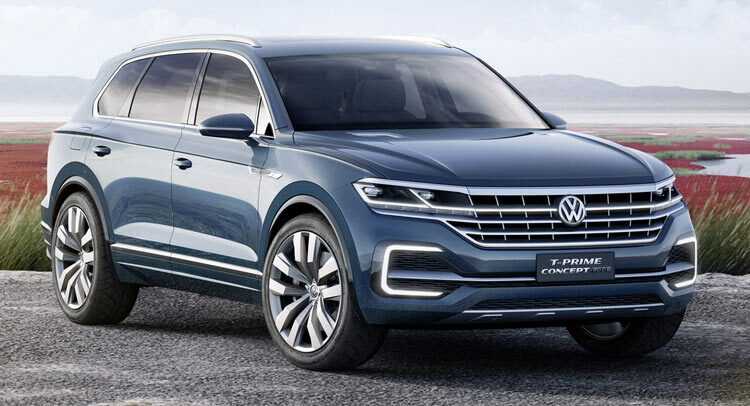 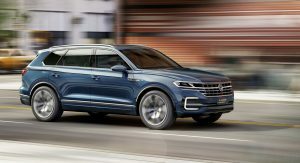 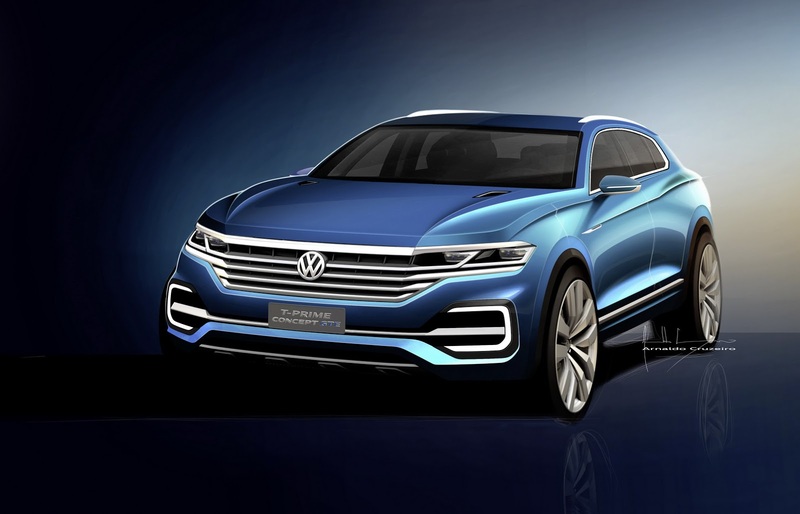 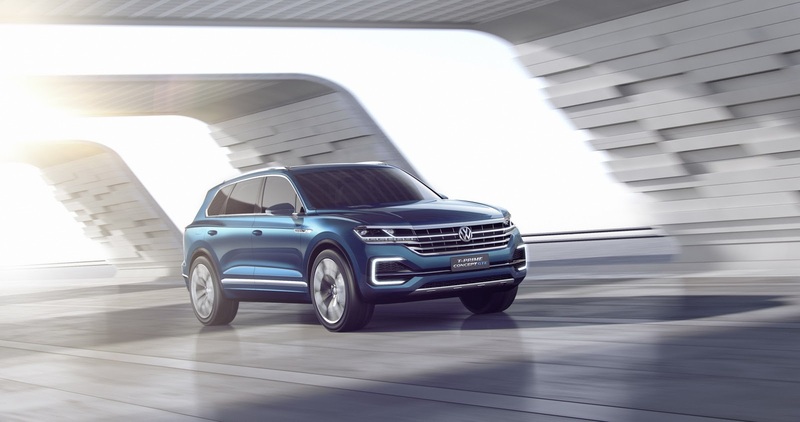 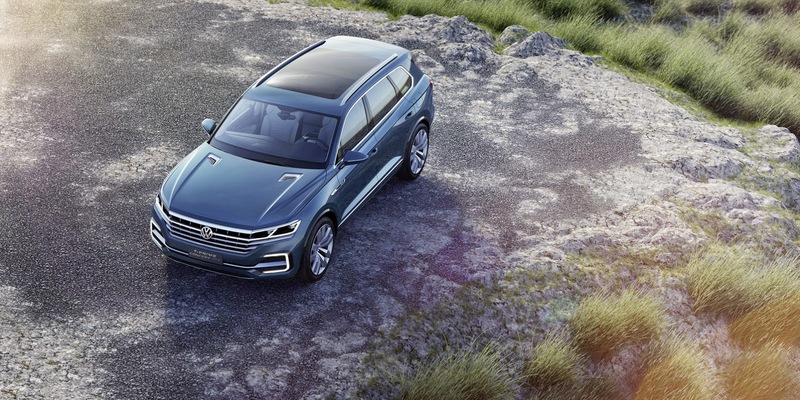 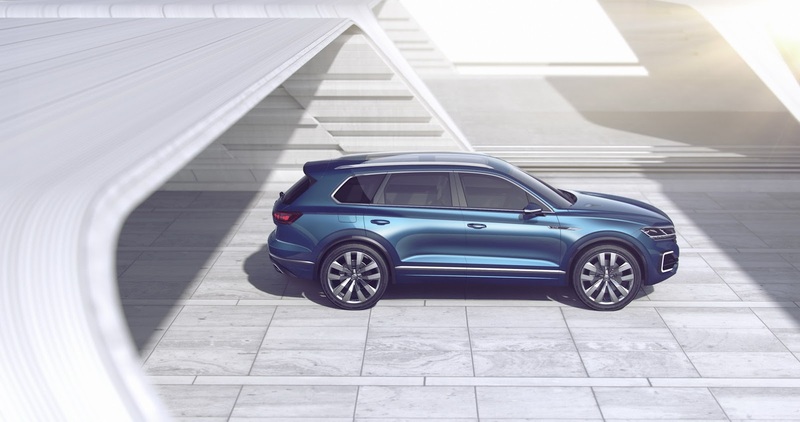 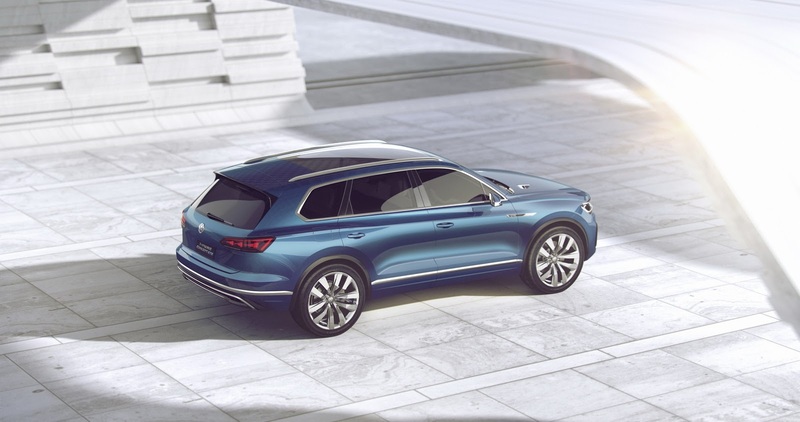 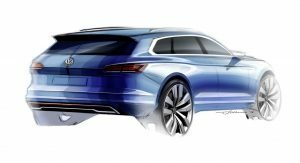 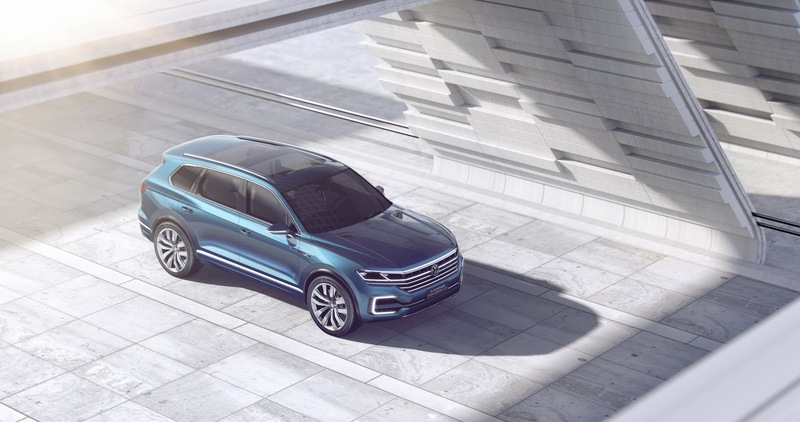 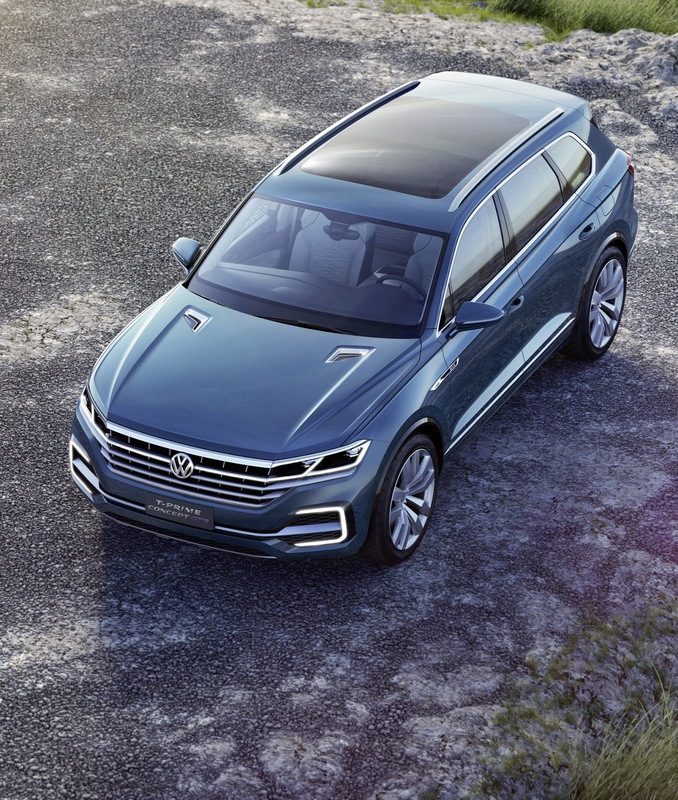 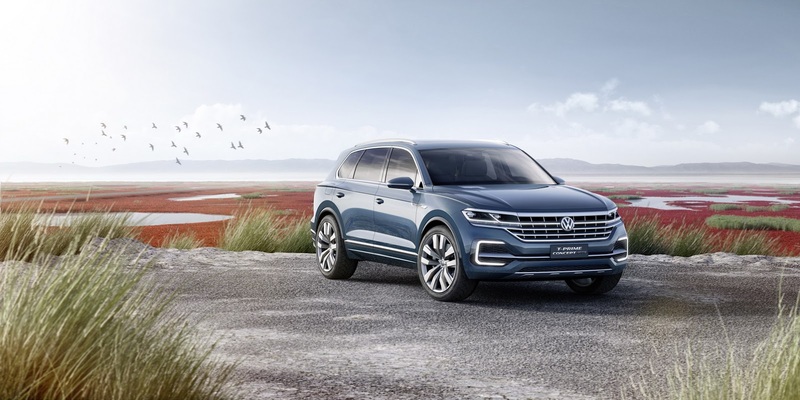 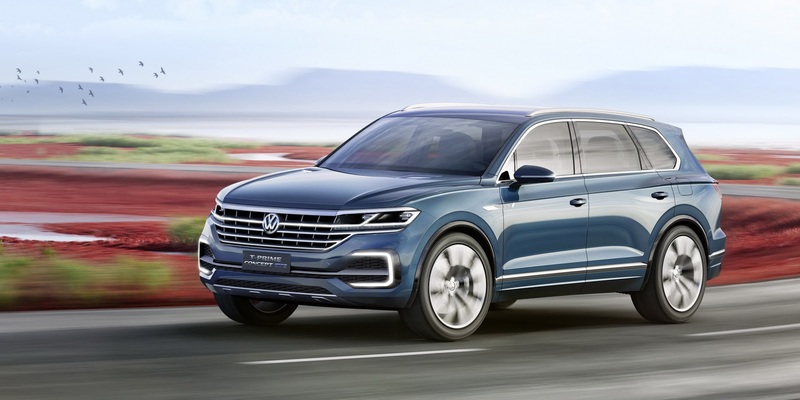 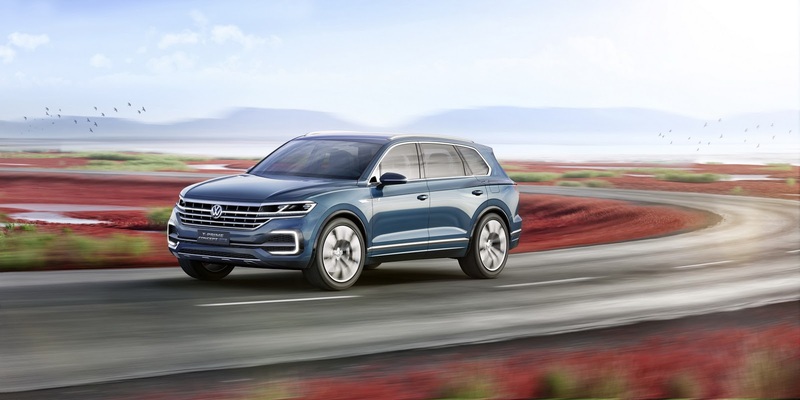 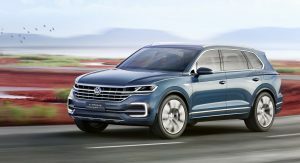 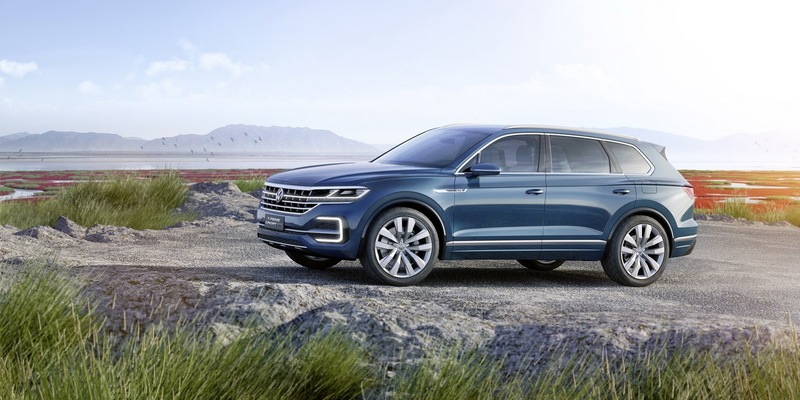 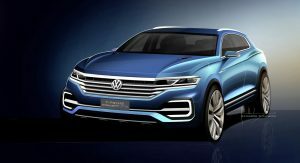 Volkswagen is going full speed ahead with plans to grow its SUV and crossover portfolio presenting a new concept in China named the T-Prime GTE, which will inspire a full-size model either replacing or sitting atop the Touareg. 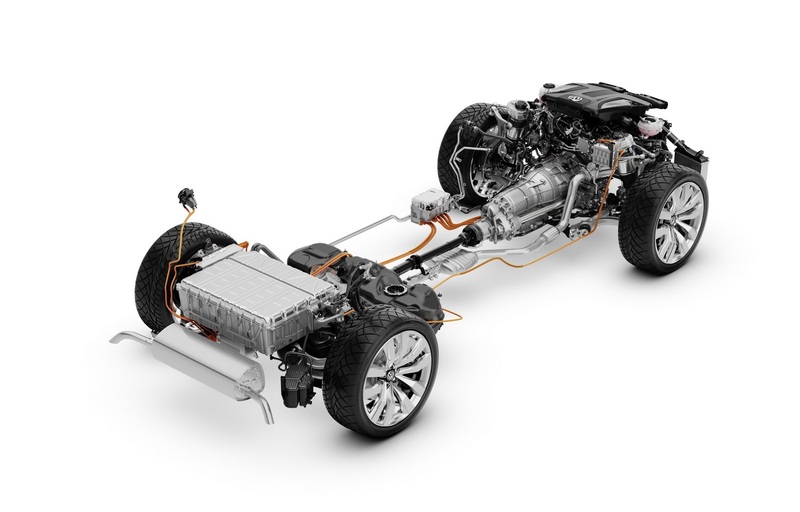 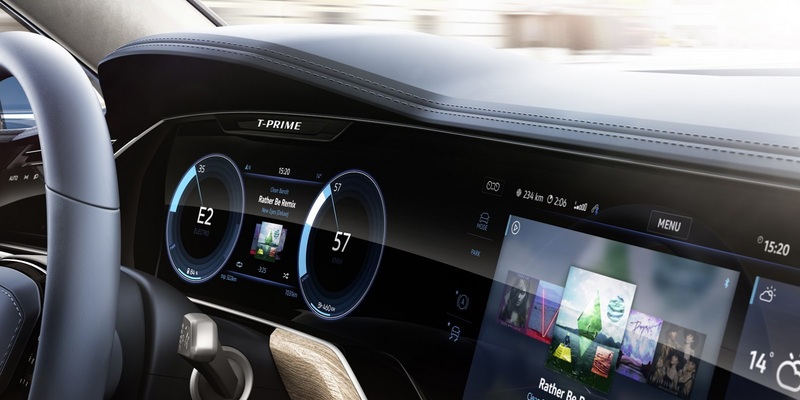 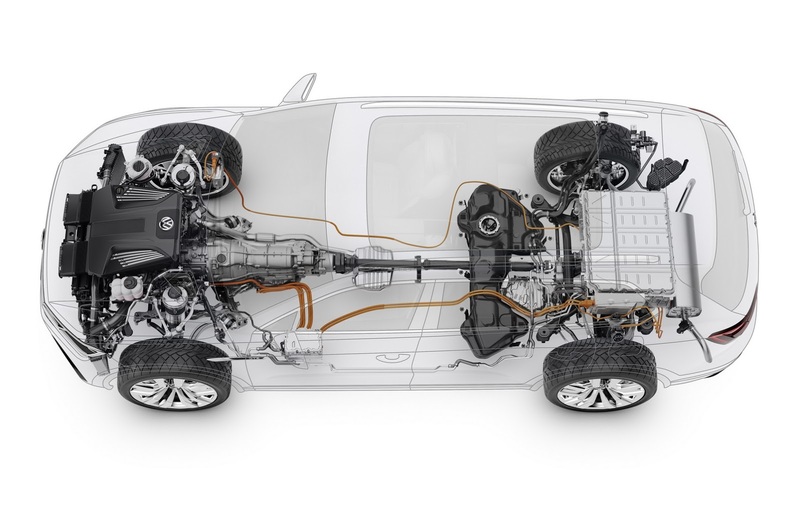 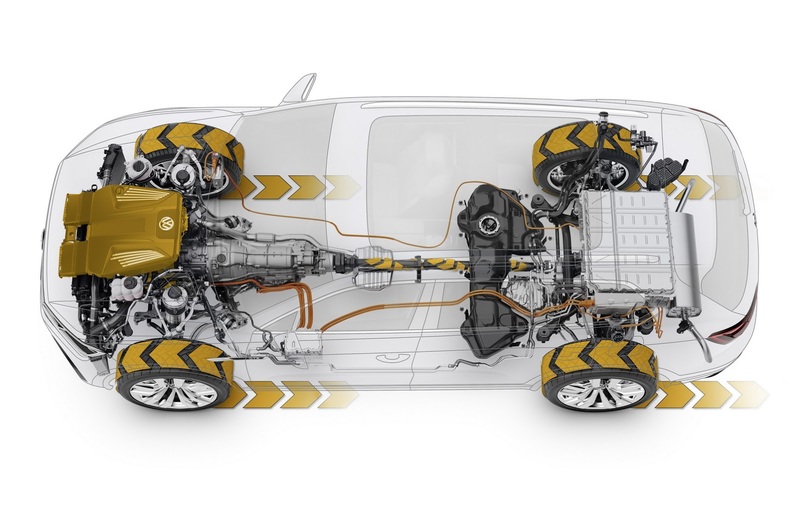 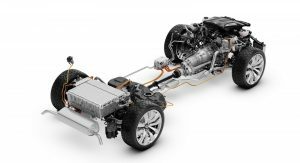 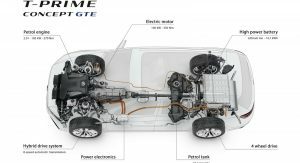 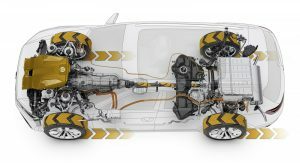 The T-Prime Concept GTE is based on the VW Group’s modular longitudinal platform (MLB) for full-size models with longitudinally mounted engines and gearboxes. 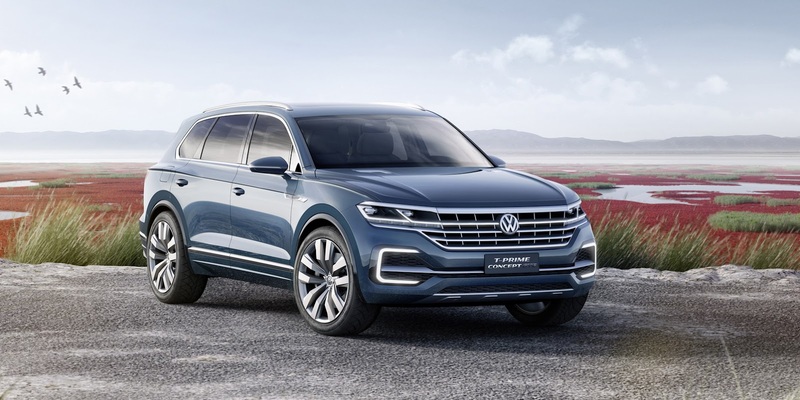 It’s a big vehicle at 199.6 inches / 5,070mm long, making it 0.4 inches / 10mm longer than the first-gen Phaeton and 6.7 inches / 171mm longer than the current Touareg. 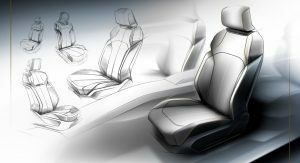 In concept form, it has two individual rear seats and measures 78.7 inches / 1,999mm wide and 67.2 inches /1,707mm tall. 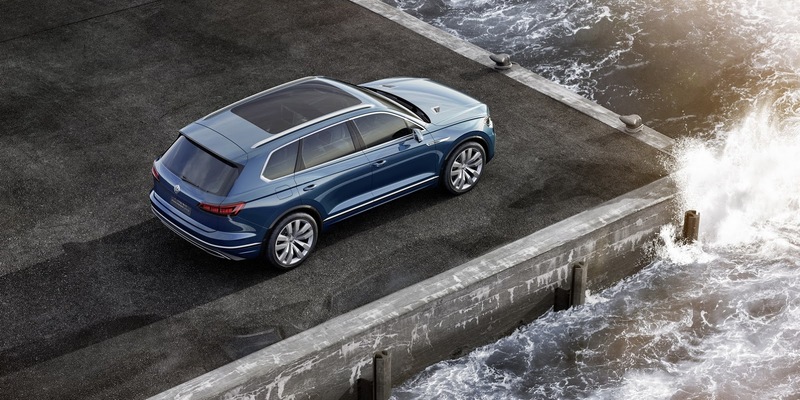 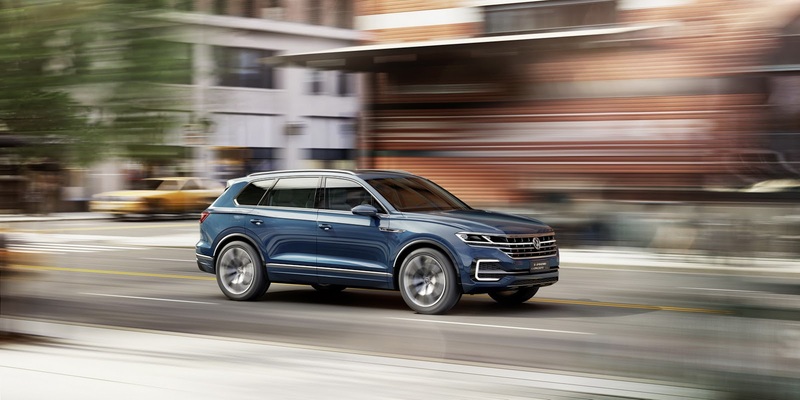 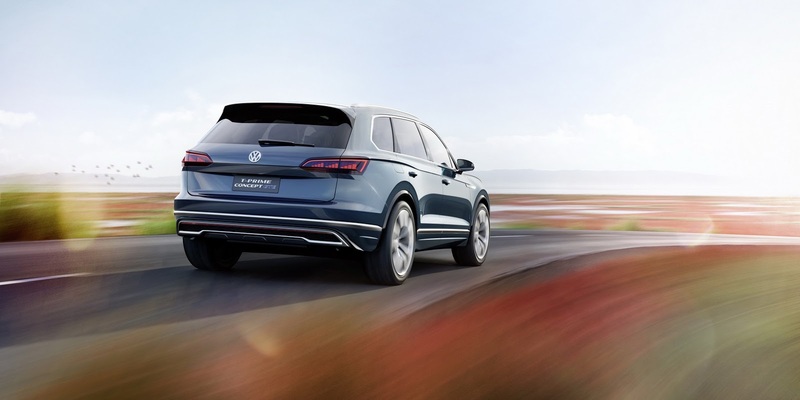 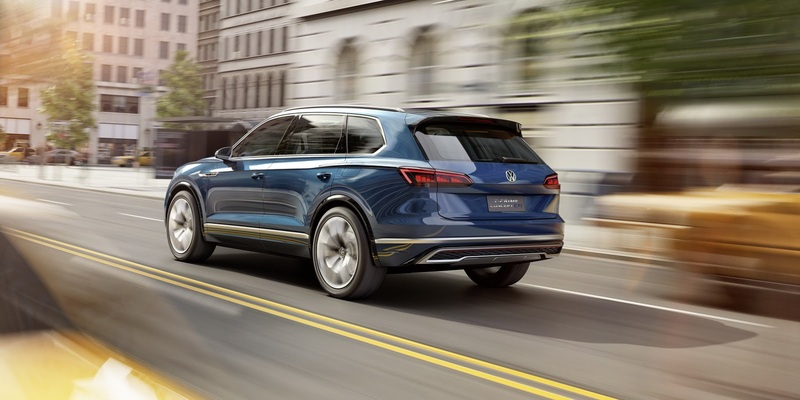 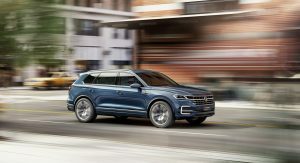 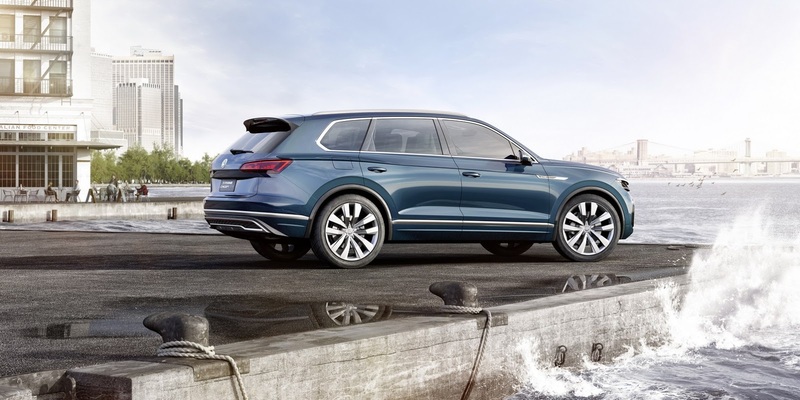 The study’s exterior design is sleek for its size and a bit more playful than what we’re used to from VW’s larger SUVs, though, the fascia that blends in the chrome grille with the headlamps might not be to everyone’s tastes. 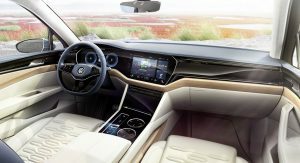 Inside, the Germans removed most of the conventional switchgear, as with the exception of the steering wheel stalks, all controls are executed as touch-sensitive surfaces with white backlighting or in the case of gearbox control, have been engineered to be completely new “by-wire solution”, as VW states. 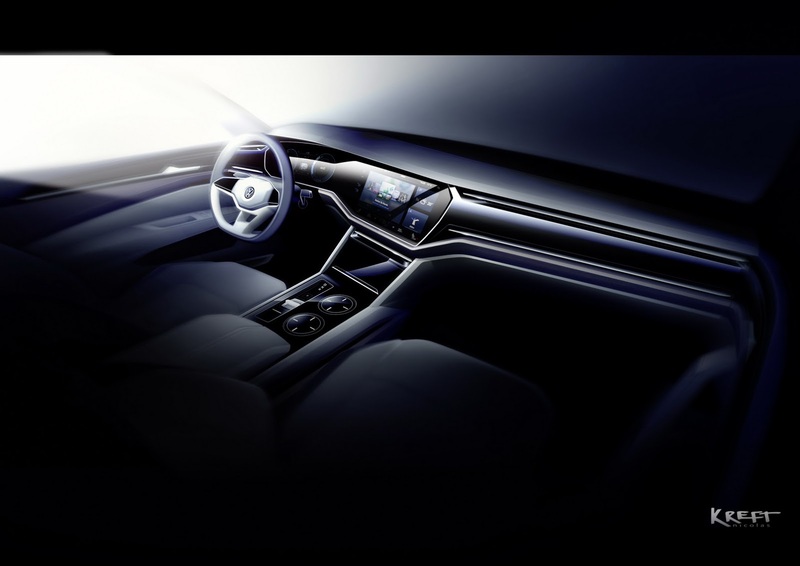 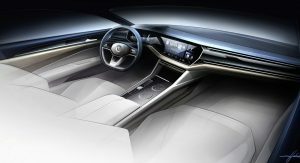 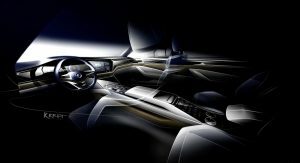 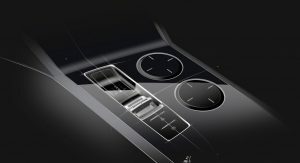 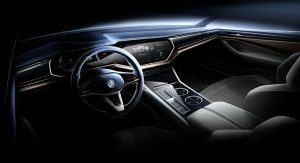 The automaker also tells us to pay attention to the huge digital display spanning the area in front of the driver and the center console like an arc, as it “symbolizes the cockpit of the future” that “will begin at Volkswagen as early as 2017”. 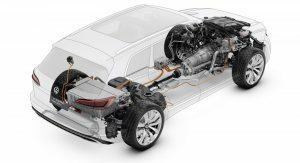 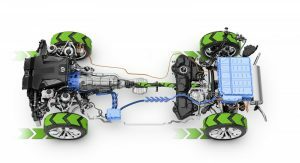 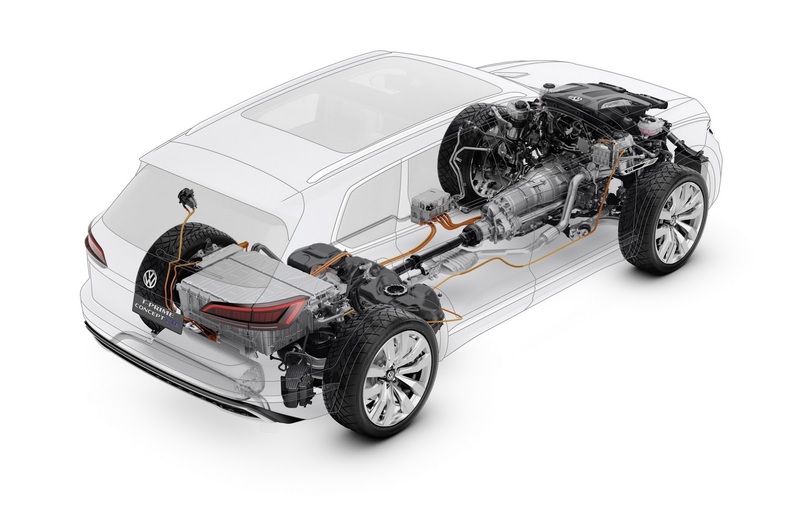 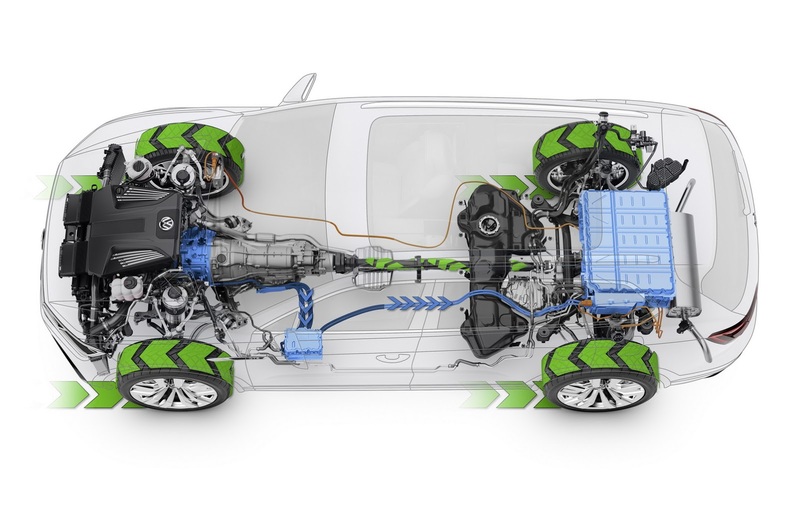 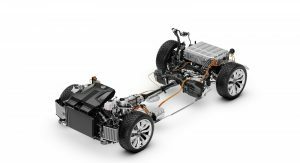 To appease the eco-friendly crowd, VW has stuffed a 375 horsepower and 699Nm (516 lb-ft) plug-in hybrid drive, incorporating a 134hp and 258 lb-ft (349Nm) electric motor housed in the transmission, a 248hp and 273 lb-ft (370Nm) 2.0-liter turbocharged gas engine, and battery, which can charge externally or during the drive. 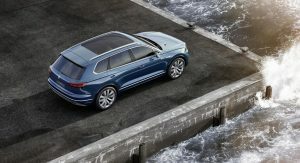 It’s also equipped with VW’s MOTION permanent all-wheel drive that allocates power to the front and rear wheels via the limited-slip differential, which is also integrated into the 8-speed automatic gearbox. 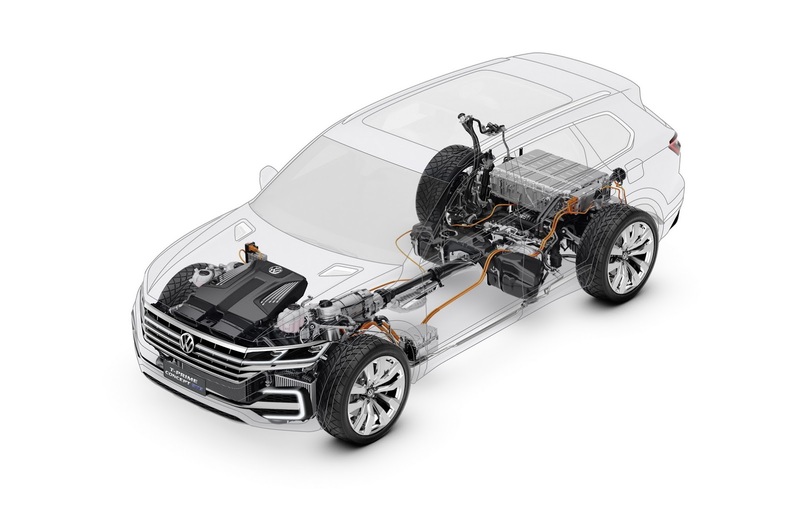 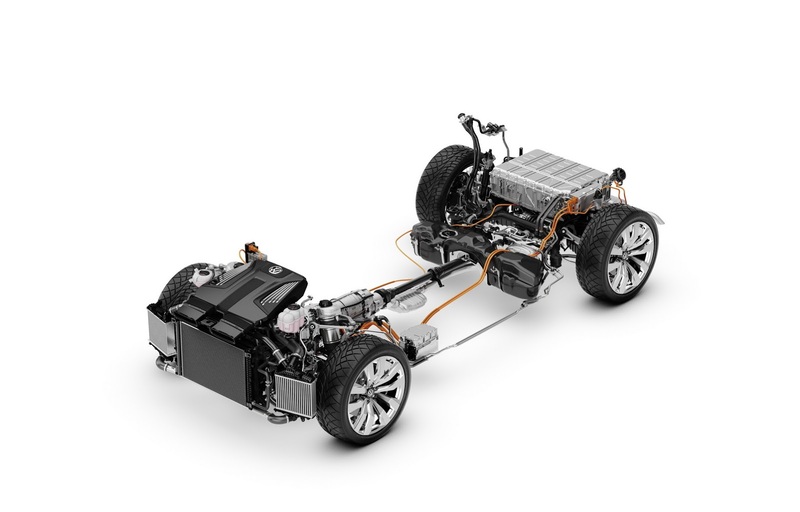 In hybrid operation when the high-voltage battery is empty, combined fuel consumption stands at 29 mpg US (8.1 l/100km or 34.8mpg UK), while the combined fuel consumption in the NEDC cycle for plug-in hybrid models with a fully charged battery is 87 MPGe US (2.7 l/100km or 104.5 MPGe UK). 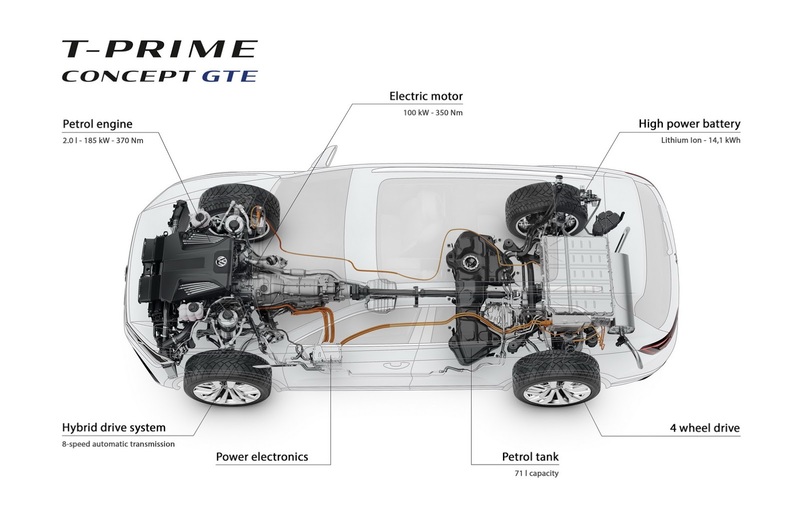 The T-Prime Concept GTE offers three different driving modes, the pure-electric E-Mode, Hybrid, and GTE, with the latter providing the most power from the electric motor and the TSI engine, allowing for a 0-60mph (96km/h) acceleration in 6.0 seconds and a top speed of 139mph (224km/h). 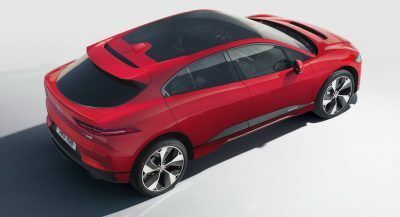 The lithium-ion battery can be charged from a completely empty state to full in eight hours from a regular 220-volt outlet, and in two hours and 30 minutes through a public charging station with a power of 7.2 kW. 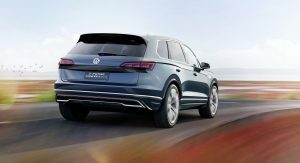 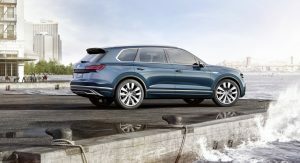 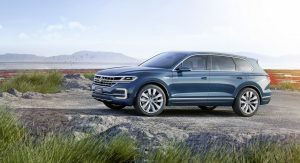 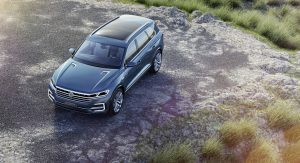 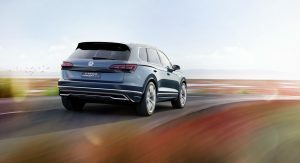 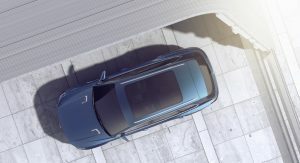 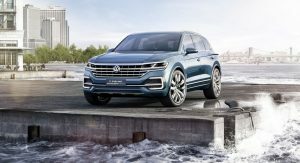 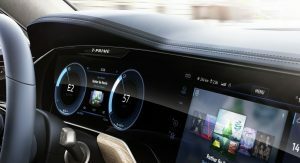 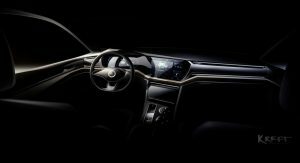 The production version of the T-Prime Concept will sit at the top of VW’s renewed and expanded lineup of SUVs and crossovers, with the first new model to enter the market this spring with the global launch of the second-generation Tiguan that will also be offered in North America and other select markets with an extended wheelbase. 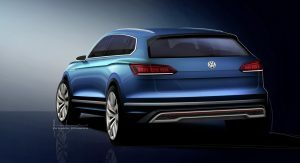 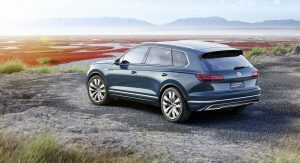 It will be followed by a new mid-size SUV for the USA, Canada and China, a successor to today’s Touareg, and two brand new SUVs, a Golf-based and –sized model inspired by the T-Roc Concept, and a smaller Polo-based model influenced by the T-Cross Breeze Concept. 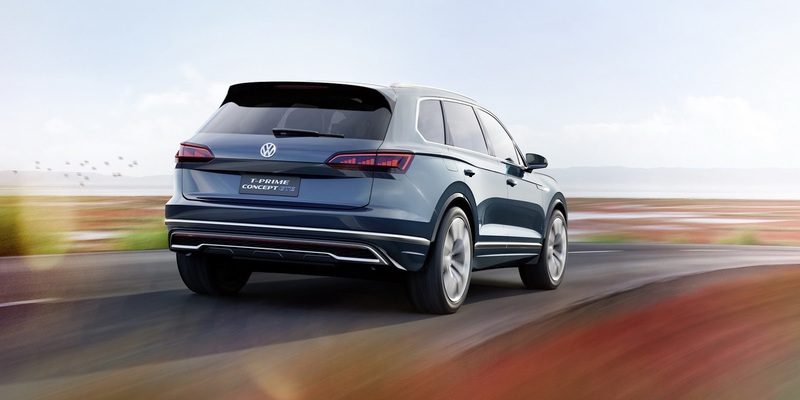 I know, that tailights “came” from Audi Q5, but the car is better well resolved than the Q7. 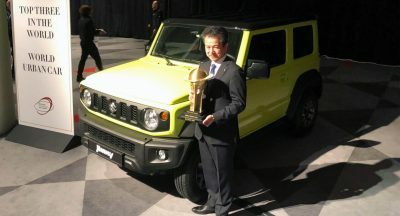 It’s the first car that I really liked since long time ago. 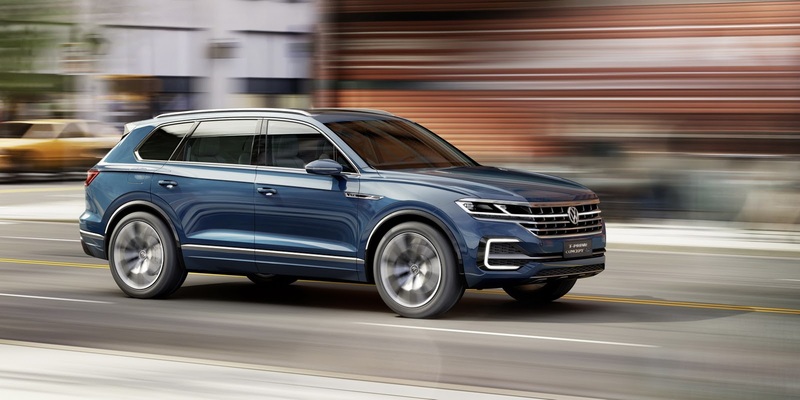 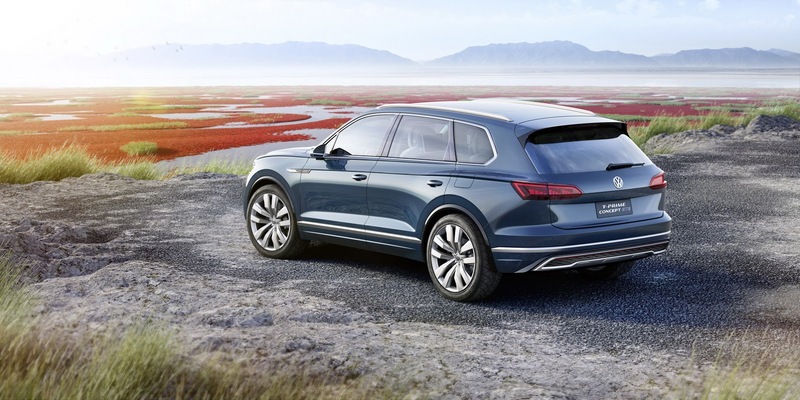 Should be a nice Touareg sucessor. 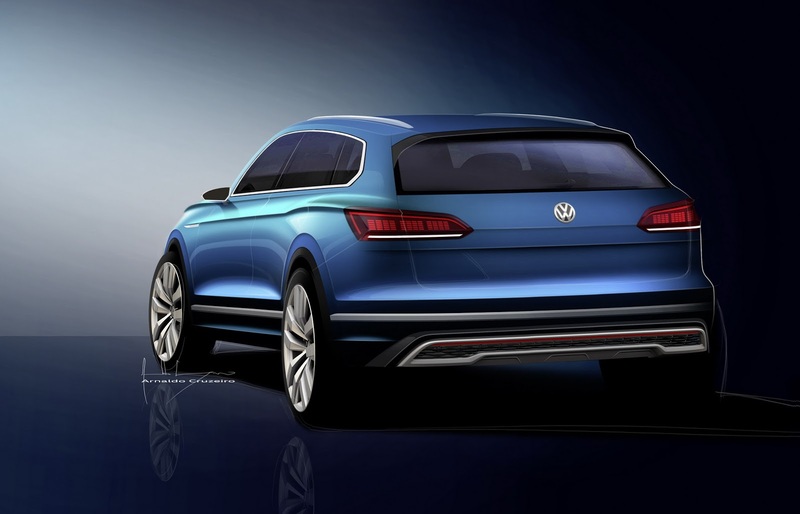 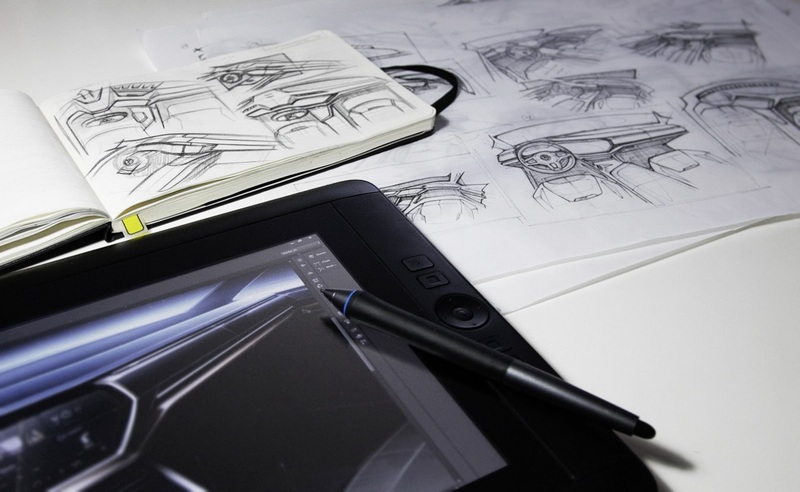 VW, a concept, for a concept for a production model…..
Yeah. 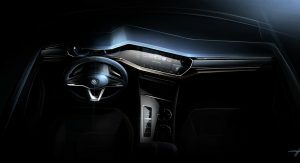 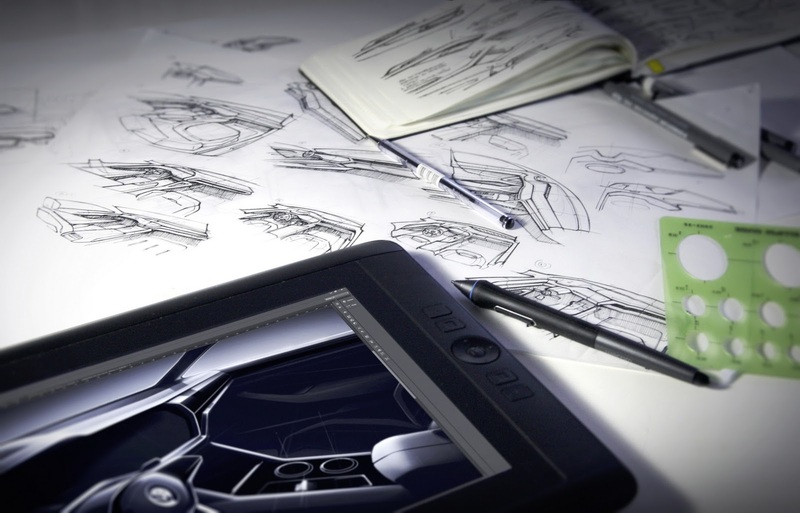 How much concept before to introduce a new model ? 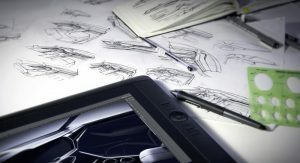 Soon it will be a concept manufacturer ! 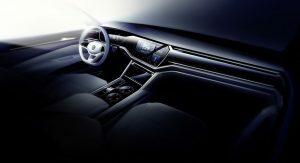 Like the outside. 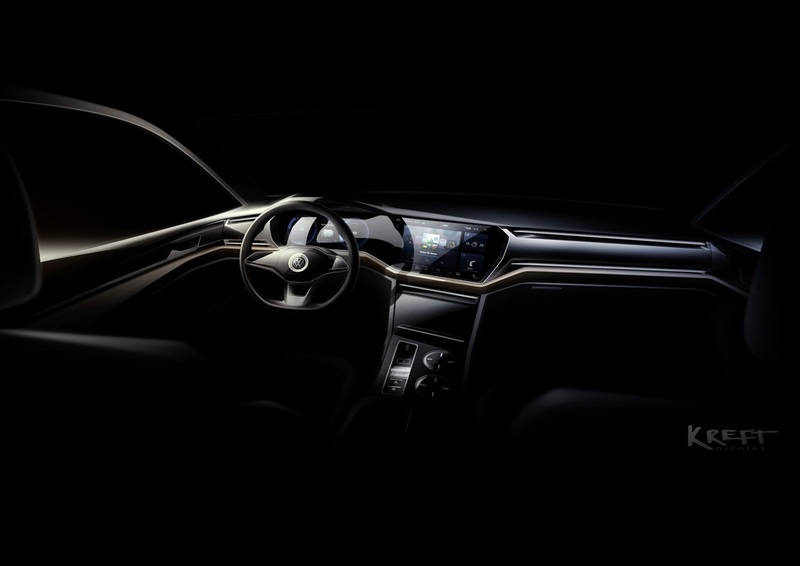 Looks luxurious. 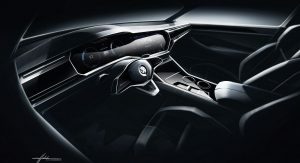 Like the inside too. 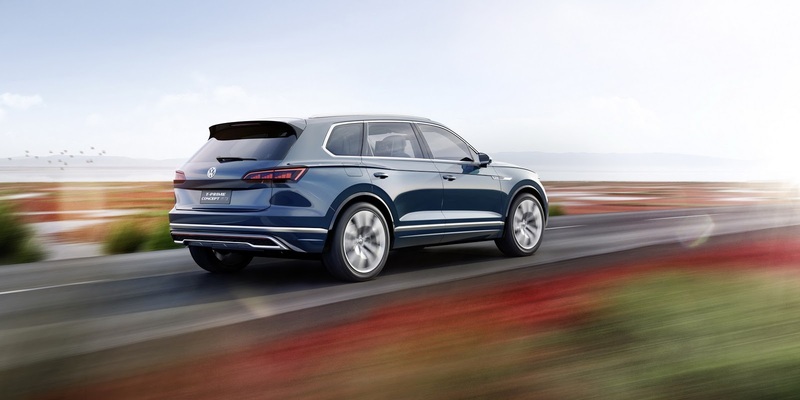 Would take this over a Q7. 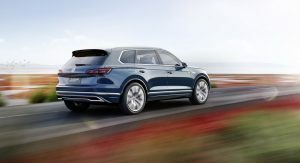 The new Q7 looks too much like a minivan. 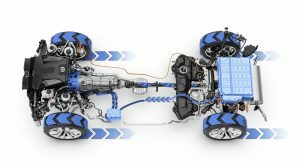 AND, that presents a huge issue. I don’t think VW understands product hierarchy. 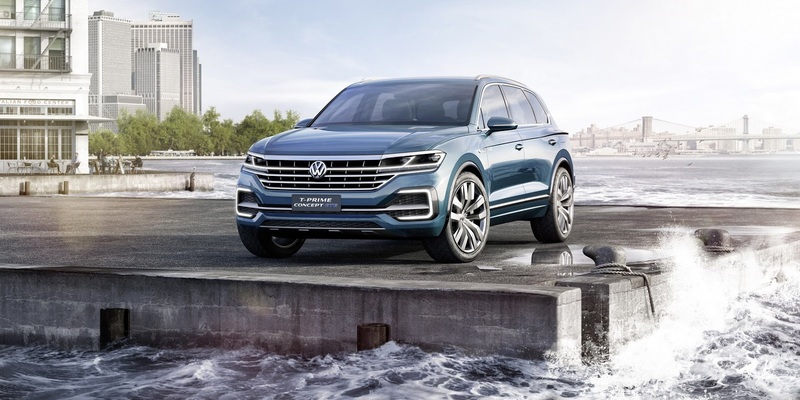 This would definitely cause major cannibalism between the two brands. 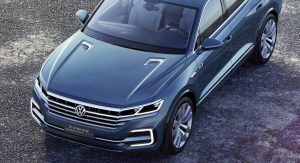 When I first saw European Passat and new Audis have the same “air vents all the way on the dashboard” design I thought it was a joke. 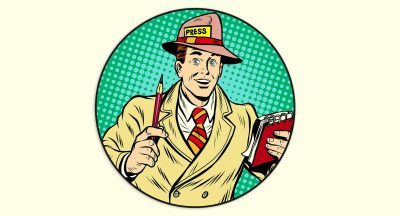 But it wasn’t. 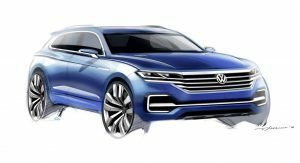 great concept… I like the idea of having something in the VW lineup above the touareg, something more luxury as the phaeton but you know, elevated. 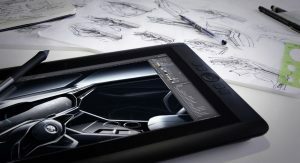 looks production ready. 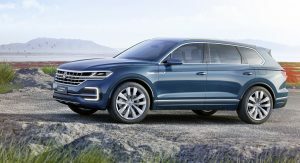 Hence with VWs long lead times it will be on sale in 2020. 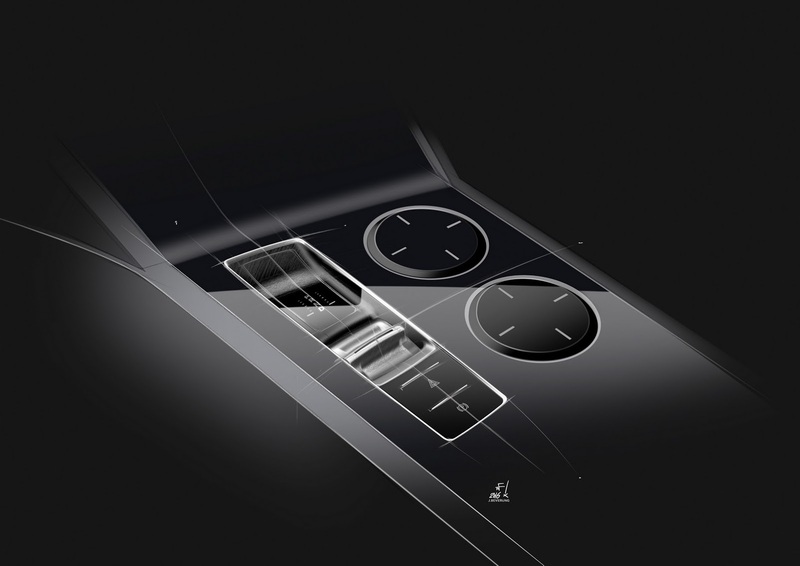 Clean, crisp, and so very 2010. 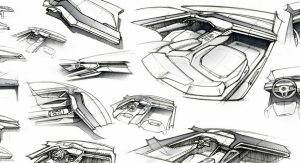 The rear fenders and the back are a work of art. 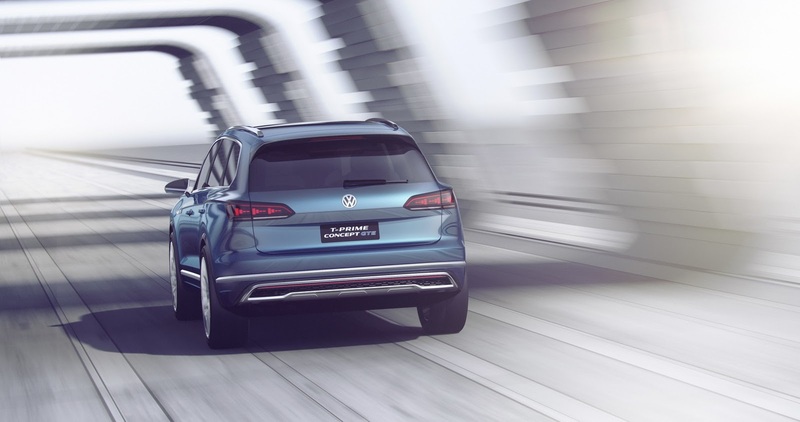 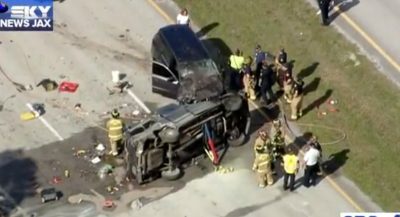 It adds coupe-like dynamism to the suv without raking the roof or raising the belt line(too much). 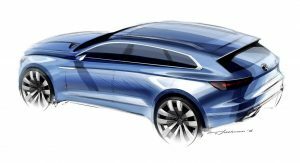 I think Hyundai was sort of trying to go for the same thing on the Santa Fe, but it’s nowhere as beautifully executed as this. 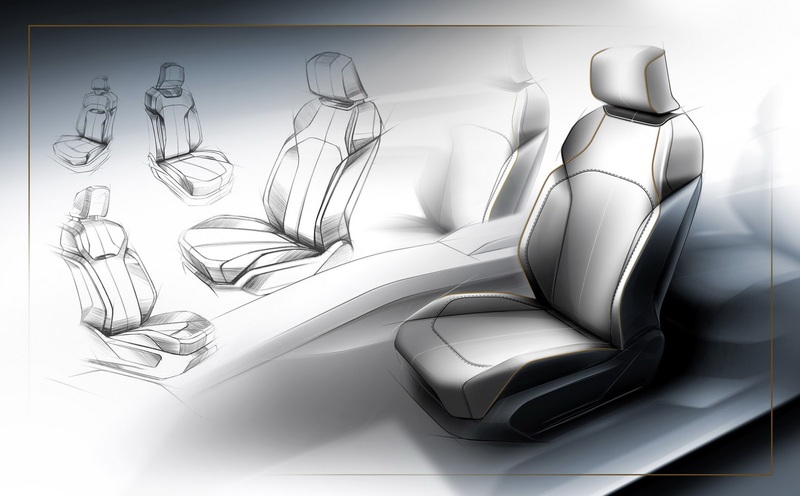 A very refined design. I’ve never seen something so flawless from a Volkswagen before. 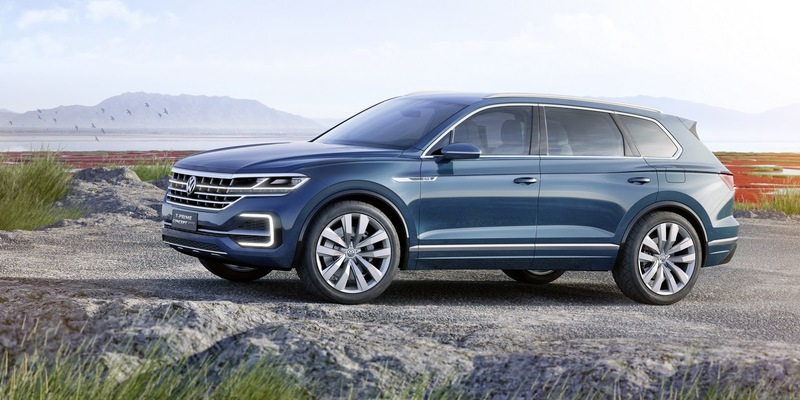 Looks really nice but VW has shown us many hybrid SUV since the last 5 years that can supposedly achieve a top of class fuel economy, but still no proof of that. 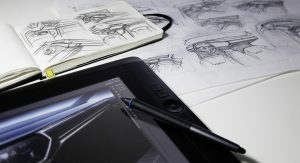 I guess they are cheating the numbers again… Otherwise, make it real!! 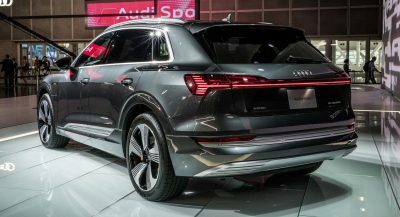 I see here some reference to the Audi e-tron quattro SUV, designed by Kamil Łobodziński.